Henry Kleilie sits for his portrait at Hoefle’s Studio in Brooklyn, New York. He doesn’t seem to be having a very good day judging by the prominent scowl seen on his face. He is well dressed and is sitting on a wicker chair. 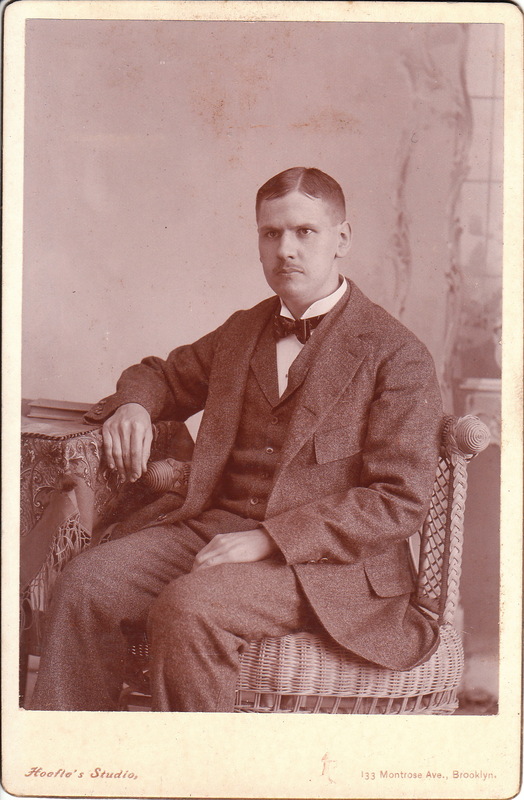 Research yielded no information about Mr. Kleilie and it is possible that I am not deciphering his name correctly from the handwriting on the reverse of the photograph. It is also possible that that the inscriber misspelled the subject’s name. I have provided a scan of the inscription which can be seen above. 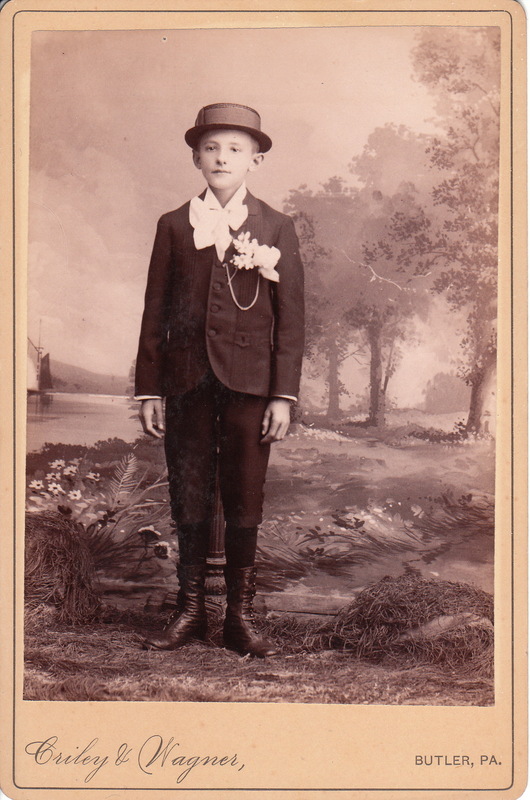 The Photographic Times (1904) reported the death of Mr. G. Hoefle, the photographer of this cabinet card. Hoefle died in late 1903 of “paralysis of the heart” at sixty years of age. 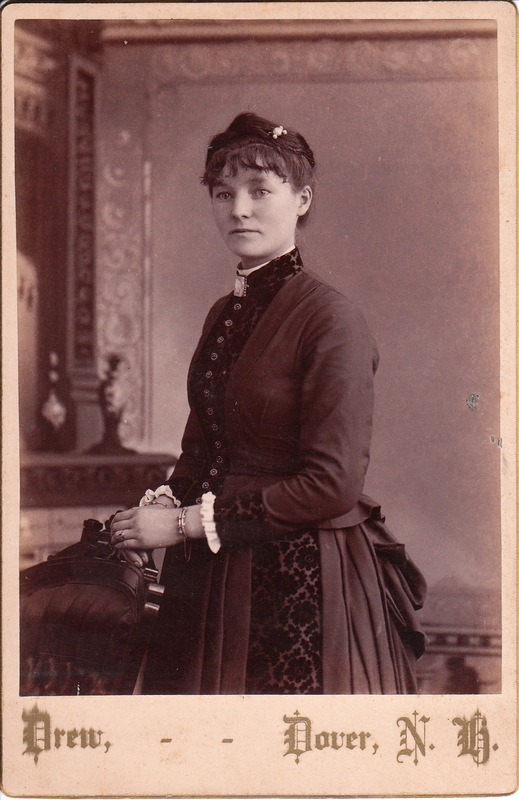 This cabinet card features English actress Ada Cavendish (1839-1895). She was noted for her performances in Shakespeare plays and for popularizing the plays of Wilkie Collins in America. 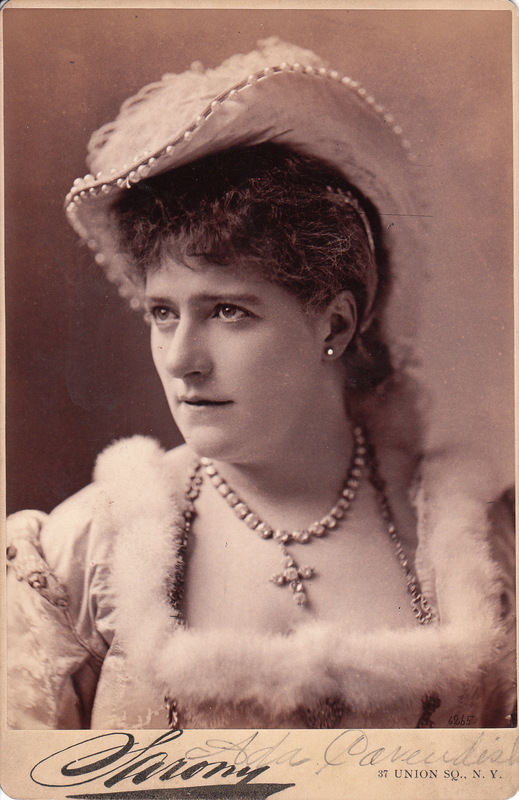 Cavendish made her stage debut in 1863. She began her career doing musical burlesques. As she progressed professionally she played a number of heroine roles in the works of Shakespeare. There are many references to Cavendish in the theatrical literature of her era. Gentlemen’s Magazine and Historical Review (1872) provides the following description of Miss Cavendish. She looks like a lady and walks and dresses like one.Some of the clever actresses now on stage dress, walk,and talk like shop girls”. Celebrated photographer Napoleon Sarony produced this image. Cavendish may be dressed for a role in this portrait. Note her fancy clothing and “big” jewelry. To view other photographs by Sarony, click on the category “Photographer: Sarony”. 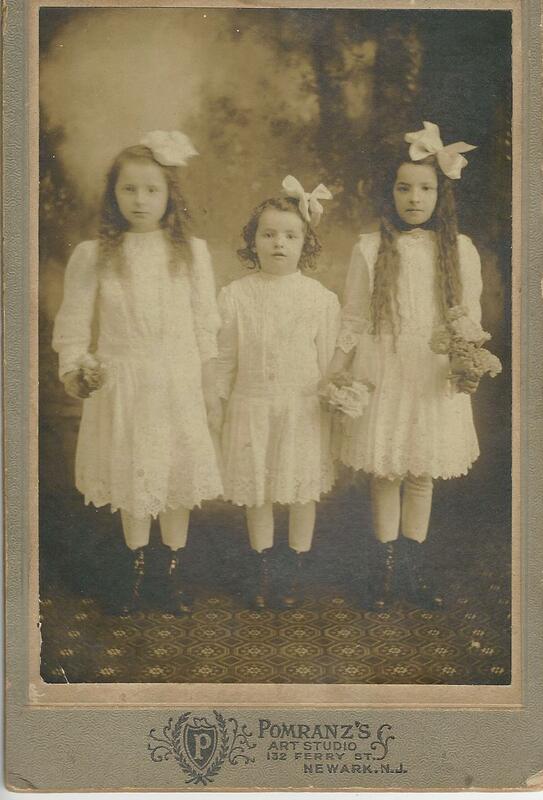 Three young and adorable sisters pose for their portrait at Pomranz’s Art Studio in Newark, New Jersey. Two of the girls have long hair and all three of them are wearing large hair bows. The two older girls are holding flowers. Isadore Pomranz was listed by the US Census as being a photographer in Newark during 1910, 1920, and 1930. 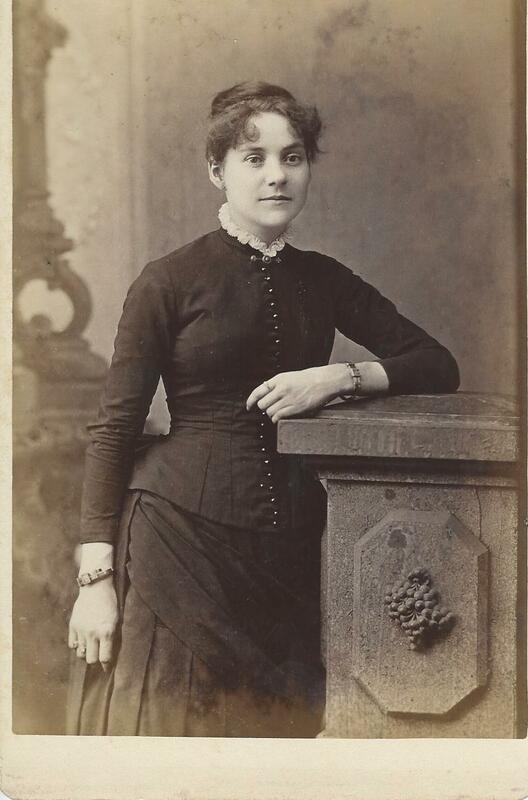 The young woman in this cabinet card photograph is very pretty. However, what makes this portrait very special is this woman’s wonderful expression. She has a beautiful smile and a gleam in her eyes. She looks like she loves life. She also appears to love jewelry as she is wearing two bracelets and a ring. The photographer who produced this image is Benoit Bloch. He operated a studio at 179 Myrtle Avenue in Brooklyn, New York and according to city directories and newspaper advertisements, he conducted business in the 1870’s, 1880’s, and 1890’s. This cabinet card portrait features an adorable baby wearing a long gown. The baby is perfectly posed. 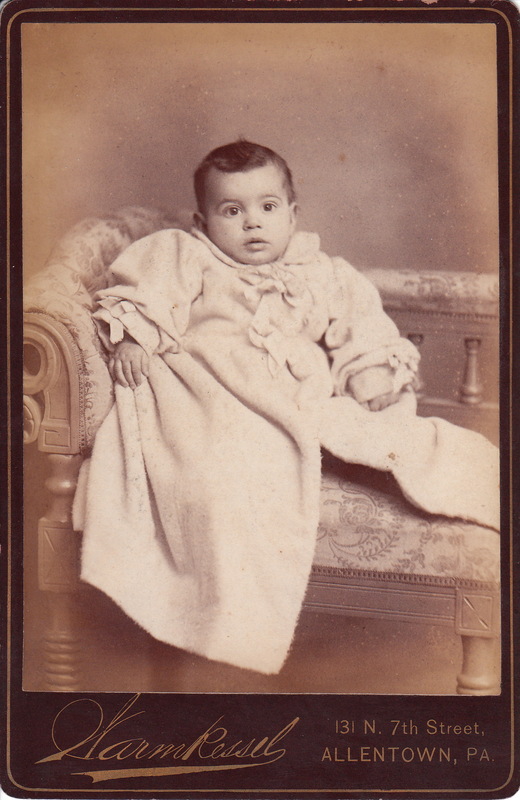 This is one of the most alert babies that I’ve ever seen photographed on a cabinet card. The image has great clarity. The talented photographer who produced this photograph is F. N. Warmkessel. 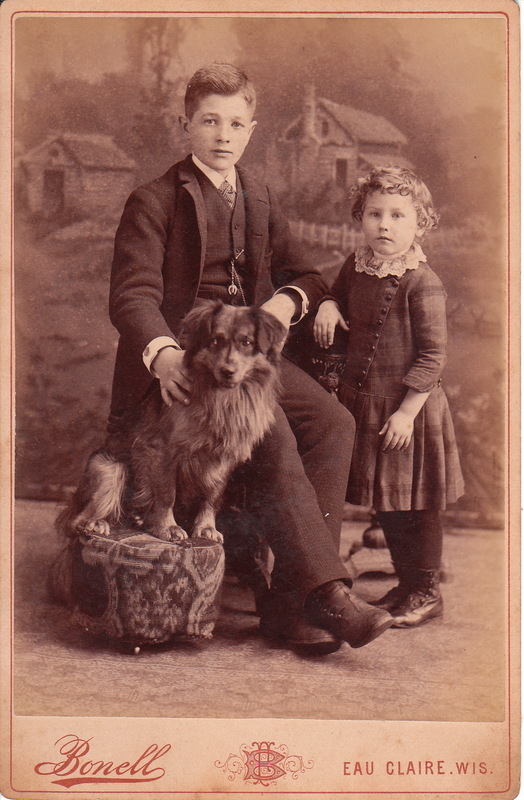 He operated as a photographer in Allentown in the 1880’s and 1890’s. 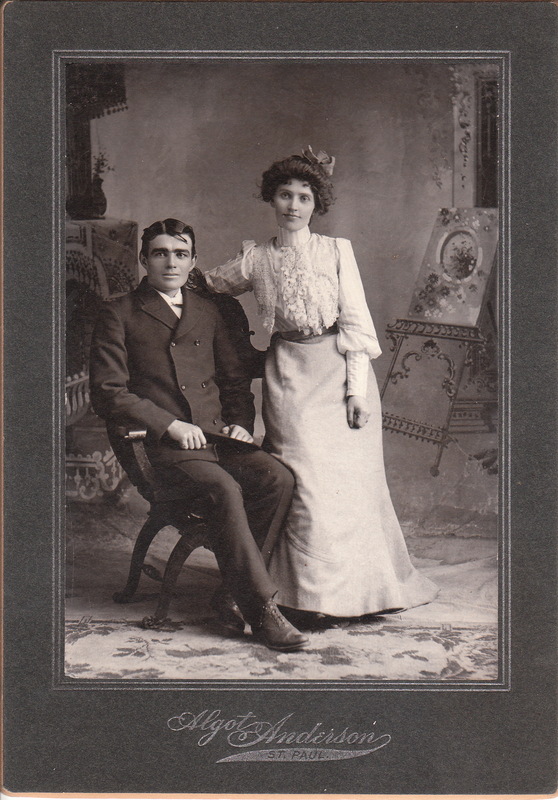 This photograph features an attractive young couple posing at the studio belonging to Algot Anderson in St. Paul, Minnesota. The couple are well dressed and well coiffed. This is one very cool couple. Algot Anderson worked in St. Paul from 1894 through 1926.The photograph measures 5″ x 7″. 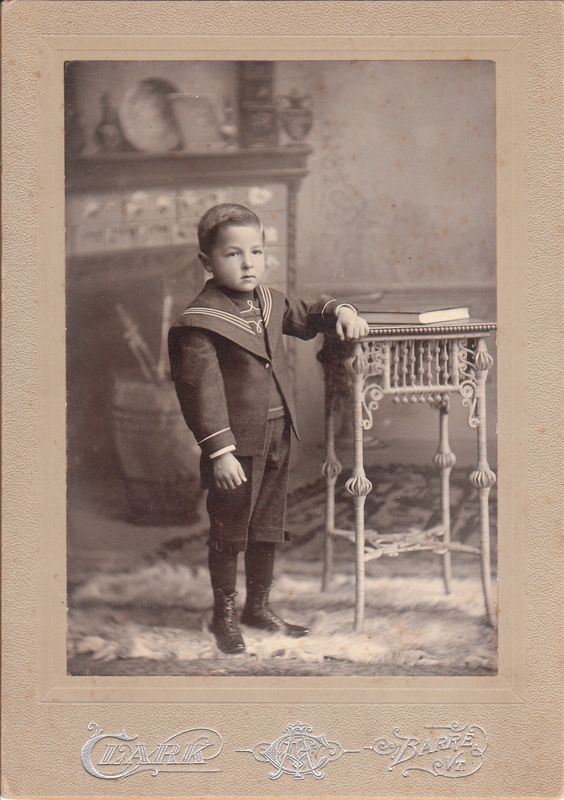 A young boy wearing a sailor suit poses for his portrait at the Clark studio in Barre, Vermont. The boy is well dressed and very clean cut. A. F. Clark is listed as a photographer in a Barre business directory from 1891. He is also listed in the 1900 US census as a single 41 year-old photographer.